Sting is joining the cast of his musical The Last Ship for a limited run from December 9th to January 10, 2015. He is replacing actor Jimmy Nail (who is believed to be happy about the move). According to the New York Times, the show has been losing $75,000 a week since performances began on 29th September when it needs to gross at least $625,000 a week to break even and to sustain a Broadway run. Sting is due to due to join Paul Simon on a tour of New Zealand on January 30, 2015, making any further extensions unlikely. 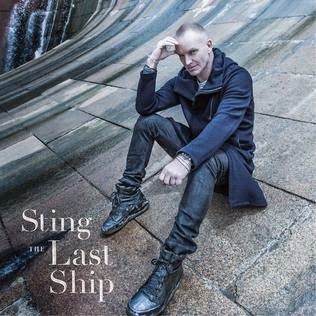 The Last Ship is a new musical with an original score by 16-time Grammy Award® winner Sting inspuired by his by Sting's own childhood experiences.